The Maryland men's basketball team remains No. 24 in the AP Top 25 and re-enters the USA Today Coaches Poll, released Feb. 11. Tennessee (22-1) retains the top spot in both polls, followed by Duke (21-2) and Gonzaga (23-2). The Terps (18-6 overall, 9-4 in the Big Ten) defeated Nebraska, 60-45, Feb 6. in their lone game of the week. 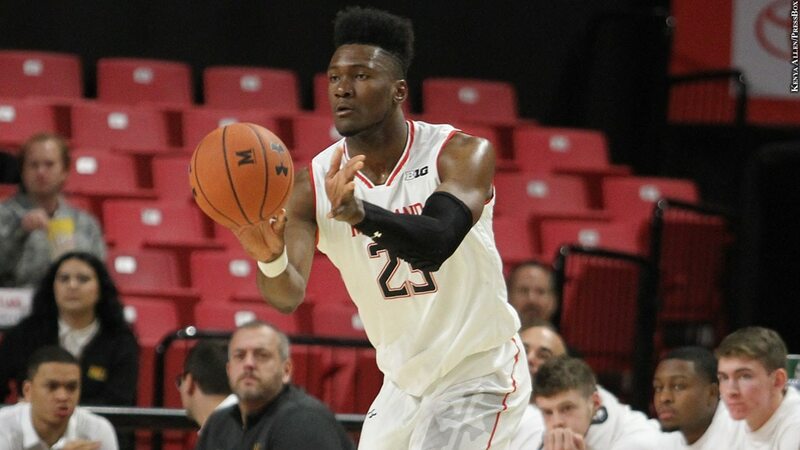 Freshman forward Jalen Smith led Maryland with 18 points and 11 rebounds, while sophomore center Bruno Fernando (13 points, 19 rebounds) posted his 15th double-double of the season. Up next, the Terps host No. 15 Purdue at Xfinity Center Feb. 12 before hitting the road to face No. 7 Michigan Feb. 16. Since coming to Maryland before the 2011-12 season, head coach Mark Turgeon has yet to defeat a ranked opponent on the road during his eight-year tenure.